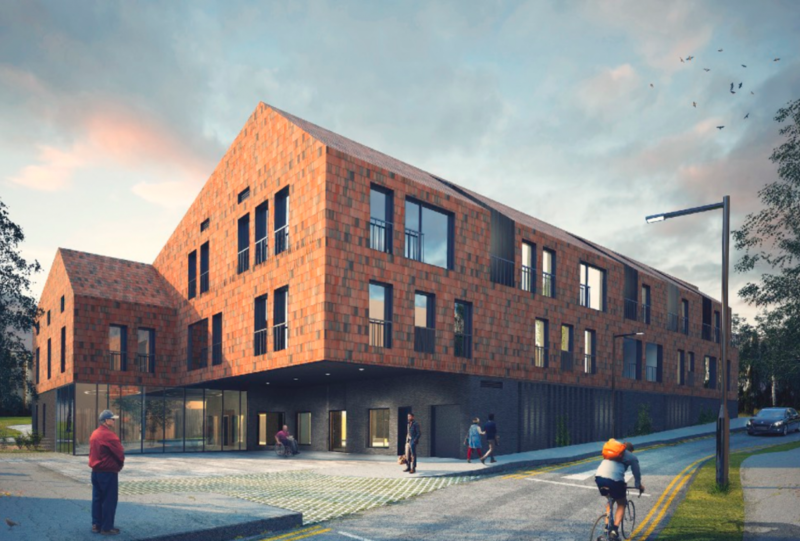 A planning application has finally been filed for the new building on Coburg Crescent. It can be viewed on the council’s planning website here. The closing date for comments or objections is Friday 22nd September 2017. The existing demolition site is 3, 5 and 7 Coburg Crescent, but the application also includes 8, 9, 10 and 11 Coburg Crescent – the shop and adjoining flats. There is a replacement shop in the new building, but, as the application stands, the estate will have no shop during the construction. The application mentions the possibility of a temporary shop, but states that the provision of such a shop will need to be the subject of another planning application.